This beautiful coffee table book will whet your creative appetite no end. 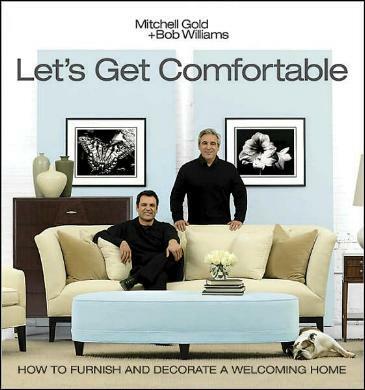 Furniture designers Mitchell and Bob show us how to make a house a home, and they stress not becoming obsessed about doing everything at once. I found their color scheme of "butter, raisin, and chalky-blue" on pages 20 and 21 very pleasing to the eye, and cozy. What I also liked about their designs is that nothing seems cluttered - I hate clutter. Their clean lines, elegant ceilings, and special touches make these rooms elegant yet possible to feel very much at home in. You'd be surprised at what you can find at flea markets and what some people throw out.  I was very taken with the brick wall painted green (pages 170/171), or any other color - a completely different approach. I loved the room (and wall) on page 22, the dining porch on page 25 (I'd love something like this for myself), the large kitchen (although a little busy) on pages 66/67, and the gorgeous simplicity of the light and airy sitting room on page 58. Lots of ideas to make your own by personalizing things. Don't you just love the standard candelabra on page 61? Stunning. Mitchell's North Carolina house is exquisite (pages 14/15). Of course Lulu, their English bulldog, gives all they do her seal of approval. Visit their website at www.mgandbm.com for more ideas and insights. Conclusion - A classy book if ever I saw one, full of wondereful and infectious ideas.